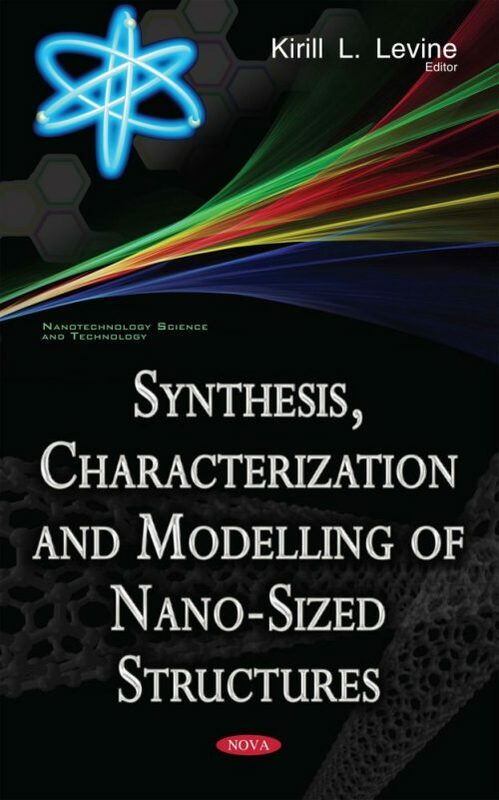 This volume covers variety of aspects related to nanotechnology: synthesis, characterization, modelling, and few practical applications. Synthetic methods summarized in this volume are: iodine transport (Bogdanov), laser ablation (Davydov), wet chemistry methods (Alexandrova, Maximov). Electrochemical methods are the technology of choice to develop oxide structures (Levine), and electrochemical impedance spectroscopy was utilized as an electrochemical characterization method while impedance spectroscopy as a dielectric characterization method was applied by Zviagin. Oxides were also extensively studied by Maximov and Ezhovsky. Efforts in modelling by computer simulation were performed for dendronized polymers by Mikhailov and Darinsky and lizine dendrimers by Neelov. Star brushed structures were analyzed by a simple direct walk model by Polotsky. Quantum phenomena is always a focus in studies of smart nano-objects. Emphasis on this is presented by Meleshenko. Schafer H. Chemical transport reactions, Germany: Wiley, 1962. Rolsten R.F. Iodide Metals and Metal Iodides, New York: Wiley, 1961. Bogdanov S.P. Glass Phys. Chem., 37, (2), (2011) 172–178. Bogdanov S.P. Glass Phys. Chem., 38, (6), (2012) 750-754. “in Russian”. Bogdanov S.P. Bulletin of the Saint Petersburg State Institute of Technology (Technical University), 16(42), (2012) 24-28. “in Russian”. Bogdanov S.P. Glass Phys. Chem., 39, (4), (2013) 444–447. Bogdanov S.P. Glass Phys. Chem., 39, (4), (2013) 448–452. Radomiselsky I.D., Napara-Volgina S.G. The getting alloyed powders diffusion method and their usage, Kiev, Naukova Dumka, 1988. “Russian”. Kiparisov S.S., Levinsky Y.V., Petrov A.P. Titanium carbide (production, properties, application), Moscow, Metallurgy, 1987. “in Russian”. Samsonov G.V. Nitrides, Kiev, Naukova Dumka, 1969. “in Russian”. Aleskovskii, V.B., Chemical assembly of materials, Vestn. Akad. Nauk SSSR, 1975, No. 6, pp. 48–54. Aleskovskii, V.B., On the nature of solid chemical compounds, Journal of Applied Chemistry. Leningrad, 1982, vol. 55, no. 4, pp. 725–730. Suntola, T., Atomic layer epitaxy, Mater. Sci. Rep., 1989, vol. 4, no. 7, pp. 261–312. Gelatos, J., Chung, H., and Thakur, R., ALD for sub 90 nm device node barriers, contacts and capacitors, Solid State Technol., 2003, vol. 2, pp. 44–48. Puurunen, R.L., Surface chemistry of atomic layer deposition: A case of study for the trimethylaluminum/water process, J. Appl. Phys., 2005, vol.97, no.12, pp. 121 301–121 356. Seidel, T., Londergan, A., and Winkler, L., Progress and opportunities in atomic layer deposition, Solid State Technol., 2003, no. 5, pp. 67–71. Yu. K. Ezhovskii, Evaluation of surface reactivity of solids from inductive constants, Russian Chemical Reviews., 2004, vol.. 73, no 2, 195-204. Pal’m, V.A., Osnovy kolichestvennoi teorii organicheskikh reaktsii (Principles of Quantitative Theory of Organic Reactions), Leningrad: Khimiya, 1977 (in Russian). Hammett, L.P., Physical Organic Chemistry, New York: McGraw_Hill, 1970, 2nd ed. Chemists Manual (Khimiya, Moscow, Leningrad, 1971), Vol. 3. Ezhovskii, Yu.K. and Vainshtein, P.M., Reactions of polyfunctional silanes with silica surfaces, Zh. Fiz. Khim., 1983, vol. 57, no. 7, pp. 1733–1738. Ezhovskii, Yu.K. and Vainshtein, P.M., Activity of hydroxy groups on the monocrystalline silicon surface, Russian Journal of Physical Chemistry. A, 1997, vol. 71, no. 12, pp. 2009–2014. Ezhovskii, Yu.K. and Klyuikov, A.I., Evaluation of reactivity of hydroxylic groups at the surface of some metal oxides using correlation relations, Russian Journal of Physical Chemistry A, 1998, vol. 72, no. 5, pp. 804–807. Vainshtein, P.M. and Ezhovskii, Yu.K., Reactivity of OH groups on the surface of monocrystalline silicon, Russ. J. Appl. Chem., 1998, vol. 71, no. 2, pp. 235–239. Tertykh, V.A., Pavlov, V.V., Tkachenko, K.I., and Chuiko, A.A., Key features of reactions between silanol groups of silica and (CH3)nSiCl4 – n alkylchlorosilanes, Theoretical and Experimental Chemistry, 1975, vol. 11, no. 2, pp. 174–181. Voronkov, M.G., Mileshkevich, V.P., and Yuzhelevskii, Yu.L., Siloksanovaya svyaz' (Siloxane Bonding), Novosibirsk: Nauka, 1976 (in Russian). Ezhovskii, Yu.K., Chemical assembly of surface nanostructures, Russian Journal of Physical Chemistry B, 2005, vol. 24, no. 4, pp. 36–57. Folman, M., Adsorption of NH3 on silica, Trans. Faraday Soc., 1961, vol. 57, no. 11, pp. 2000–2006. Detection and discrimination of coliform bacteria with gas sensor arrays / M. McEntegart, W.R. Penrose, S. Strathmann, J. R. Stetter, Sensors and Actuators B. – 2000. – V. 70. – P. 170–176. Gardner J. W. The prediction of bacteria type and culture growth phase by an electronic nose with a multi-layer perceptron work, Measurement Science and Technology. – 1998. – V. 9. – P. 120–127. C. DiNatale, A. Macagnano, E. Martinelli, Lung cancer identification by the analysis of breath by means of an array of non-selective gas sensors, Biosensors and Bioelectronics. – 2003. – V. 1. – P. 1–10. Gardner J.W., Shin H.W., Hines E. L. An electronic nose system to diagnose illness, Sensors and Actuators B. – 2000. – V. 70. – P. 19–24. A. K. Pavlou, N. Magan, C. McNulty, Use of an electronic nose system for diagnoses of urinary tract infections. Biosensors and bioelectronics. 2002. V. 17. P. 893-899. W. Ping, T. Yi, X. Haibao, S. Farong, A novel method for diabetes diagnosis based on electronic nose, Biosensor sand Bioelectronics. – 1997. – V. 12, N 9–10. – P. 1031–1036. Shimizu Y., Matsunaga N., Hyodo T., Egashira M, Improvement of SO2 sensing properties of WO3 by noble metal loading, Sensors and Actuators В. – 2001. – V. 77. – P. 35-40. Krivetsky V., Ponzoni A., Comini E., Selective modified SnO2 -based materials for gas sensors arrays, Procedia Chemistry. – 2009. – V. 1. – P. 204-207. Krivetskiy V. V., Ponzoni A., Comini E., Materials based on modified SnO2 for selective gas sensors, Inorganic Materials. – 2010. V. 46.N 10. P. 1100-1105. Moshnikov V. A., Gracheva I. E., Kuznezov V. V., Hierarchical nanostructured semiconductor porous materials for gas sensors, Journal of Non-Crystalline Solids. 2010. V. 356. P. 2020-2025. Grachova I. E., Nalimova S. S., Moshnikov V. A. Gas-sensitive hierarchial porous nanostructures for multisensor systems, The Technical University of Varna. Annual Proceedings. 2010. V. 1. P. 97-103. Karpova S. S., Moshnikov V. A., Mjakin S. V., Kolovangina E. S., Surface functional composition and sensor properties of ZnO, Fe2O3, and ZnFe2O4 Semiconductors. 2013. V. 47, N 3. P. 392-395. Karpova S.S., Moshnikov V.A., Maksimov A.I., Study of the effect of the acid-base surface properties of ZnO, Fe2O3 and ZnFe2O4 oxides on their gas sensitivity to ethanol vapor, Semiconductors. 2013. V. 47, N 8. P. 1026-1030. Moshnikov V.A., Gracheva I.E., An'chkov M.G. Investigation of sol-gel derived nanomaterials with a hierarchical structure // Glass Physics and Chemistry. 2011. V. 37. P. 485-495. Investigating properties of gas-sensitive nanocomposites obtained via hierarchical self-assembly, Moshnikov V. A., Gracheva I. E., Pshchelkon N. S., Levine K. L., Smart Nanocomposites, 2011. V. 2. P. 165-179. Martin-Palma R. J., Manso-Silvan M., Torres-Costa V. Biomedical applications of nanostructured porous silicon: a review, J. Nanophoton. 2010. V. 4, N 1. Iskusnukh I., Popov A.L., Popova T.N., Effect nanocrystalline silicone on metabolic activity and proliferation of fibroblast add cells carcinoma of the larynx, Messenger VGU, ser. Chemistry, Biology, Pharmacy. 2012. № 1. C. 96-102; (in Russian). Liu D., Bimbo L. M., Mäkilä E., Co-delivery of a hydrophobic small molecule and a hydrophilic peptide by porous silicon nanoparticles, Journal of Controlled Release. 2013. V. 170, Is. 2. P. 268–278. Secret E., Smith K., Dubljevic V., Antibody-Functionalized Porous Silicon Nanoparticles for Vectorization of Hydrophobic Drugs, Advanced Healthcare Materials. 2013. V. 2, Is. 5. P 718–727. Xu W., Riikonen J., Lehto V.-P. Mesoporous systems for poorly soluble drugs // International Journal of Pharmaceutics. 2013. V. 453, Is. 1. P. 181–197. Barnes T. J., Karyn L J., Prestidge C.A. Recent advances in porous silicon technology for drug delivery // Therapeutic Delivery. 2013. V. 4, N. 7. P. 811-823. Anglin E. J., Cheng L. С., Freeman W. R., Porous silicon in drug delivery devices and materials / //Adv Drug Deliv Rev. – 2008. – V. 60. – P.1-32. Santos H. A., Bimbo L. M., Herranz B. Nanostructured porous silicon in preclinical imaging: Moving from bench to bedside, Journal of Materials Research. 2013. V. 28, Is. 2. P. 152-164. Gupta B., Zhu Y., Guan B., Functionalised porous silicon as a biosensor: emphasis on monitoring cells in vivo and in vitro, Analyst. 2013. 138. P. 3593-3615. Dhanekar S., Jain S., Islamia J. M., Porous silicon biosensor: Current status, Biosensors and Bioelectronics. 2013. V. 41. P. 54–64. Arroyo-Hernández M., Martín-Palma R.J.,Torres-Costa V., Martínez Duart J.M., Porous silicon optical filters for biosensing applications, Journal of Non-Crystalline Solids. 2006. V. 352, Is. 23–25. P. 2457–2460. Lenshin A. S., Kashkarov V. M., Spivak Yu. M., Moshnikov V. A., Investigations of nanoreactors on the basis of p-type porous silicon: Electron structure and phase composition, Materials Chemistry and Physics. 2012. V. 135, Is. 2–3. P. 293-297. Lenshin A. S., Kashkarov V. M., Seredin P. V., XANES and IR Spectroscopy Study of the Electronic Structure and Chemical Composition of Porous Silicon on n- and p-Type Substrates., Semiconductors. 2011. V. 45, N. 9. P. 1183-1188. Research of electronic structure and phase composition of porous silicon/ Lenshin А. S., Kashkarov V. М, Spivak Ю.М., Moshnicov V.А. //Physics and chemistry of glasses. 2012, 38-3. С. 383-392. (in Russian). Anglin E. J., Cheng L. С., Freeman W. R., Porous silicon in drug delivery devices and materials, Adv Drug Deliv Rev. – 2008. – V. 60. – P.1-32. Gracheva I.E., Moshnikov V.A., An’chkov M.G. An automated combined system for studying gas-sensitive semiconductor nanomaterials in constant and alternating electric fields // Instruments and Experimental Techniques. 2013. V. 56. P. 209-214. Imai K., Unno H. FIPOS technology and its application to LSI’s // IEEE Trans. On Electron. Dev. – 1984. – V. ED-31. – P.297-302. Kanageeva Y. М., Savenco А. Y., Luchinin V. V., Study of structural and morphological features of macroporous silicon at preparing the samples fine-focus on beam, Peterburgsky journal of electronics, 2007. №1. p.30-34. Travkin P.G., Vorontsova N.V., Vysotsky S.A., Study of the regularities of structure formation of porous silicon in multiple modes of electrochemical etching, News SPbNETU «LETI». 2011. № 4. p. 3-9. (in Russian). Moshnikov V.А., Spivak Y.М. «Electrochemical methods obtain of porous material for fuel cell» // chapter in the book: Fundamentals of Hydrogen energy / edited by. V.А. Moshnikova and E.I. Terukova. 2 edition. SPb. : Publisher: «LETI», 2011. (in Russian). Makarov, G.N. Phys. Usp. 2013, 56, 643–682. Mulvaney, P.; Linnert T.; Henglein, A. J. Phys. Chem. 1991, 95, 7843-7846. Nikiforov, A.F. ; Novikov V.G. ; Uvarov, V.B. Quantum-Statistical Models of Hot Dense Matter and Methods for Computation Opacity and Equation of State; Progress in Mathematical Physics 37, Birkhauser Verlag: Basel, 2005; pp 285-294. Khishchenko, K.V. Tech. Phys. Lett. 2004, 30, 829-831. Bushman, A.V. ; Fortov, V.E. ; Lomonosov, I. V. In High Pressure Equations of State: Theory and Applications; Eliezer, S.; Ricci R.A.; North-Holland: Amsterdam, 1991; p 249. Cao, Y. and Zhao, X. and Shin, Y.C. (2013). Analysis of nanosecond laser ablation of aluminum with and without phase explosion in air and water. Journal of Laser Applications, 25(3). Fisher B., Caruge J.M., Bawendi M.G. Room-Temperature Ordered Photon Emission from Multiexciton States in Single CdSe Core-Shell Nanocrystals // Physical Review Letters 2005, 94: 087403. S. Empedocles and M. Bawendi Spectroscopy of Single CdSe Nanocrystallites // Acc. Chem. Res., 1999, 32 (5), P. 389–396. Caruge J. M., Halpert J., Wood E. V. et al. Colloidal quantum-dot light-emitting diodes with metal-oxide charge transport layers // Nature Photonics. 2008. Vol. 2. P. 247–250. Tan Z., Zhang F., Zhu T. et al. Bright and color-saturated emission from blue light-emitting diodes based on solution-processed colloidal nanocrystal quantum dots // Nano Lett. 2007. Vol. 7, N 12. P. 3803–3807. Hoogland S., Sukhovatkin V., Howard I. et al. A solution-processed 1.53 μm quantum dot laser with temperature-invariant emission wavelength // Optics Express. 2006. Vol. 14, N 8. P. 3273–3281. Ruedas-Rama M. J., Walters J. D., Orte A. et al. Fluorescent nanoparticles for intracellular sensing: A review // Analytica Chimica Acta. 2012. Vol. 751. P. 1–23. Algar W. R., Tavares A. J., Krull U. J. Beyond labels: A review of the application of quantum dots as integrated components of assays, bioprobes, and biosensors utilizing optical transduction // Analytica Chimica Acta. 2010. Vol. 673. P. 1–25. Resch-Genger U., Grabolle M., Cavaliere-Jaricot S. et al. Quantum dots versus organic dyes as fluorescent labels // NatureMethods. 2008. Vol. 5. P. 763–775. C.B. Murray, D.J. Norris, M.G. Bawendi Synthesis and Characterization of Nearly Monodisperse CdE (E = S, Se, Te) Semiconductor Nanocrystallites// Journal of the American Chemical Society.1993. Vol.115. P.8706–8715. X. Peng, L. Qu, Z. A.Peng Alternative Routes toward High Quality CdSeNanocrystals // Nano Letters. – 2001. Vol.1 (6). P. 333–337. L. Wang, X. Sun, W. Liu etal. High quality zinc-blende CdSenanocrystals synthesized in a hexadecylamine–oleic acid–paraffin liquid mixture// Materials Chemistry and Physics. 2010. Vol.120. P.54–60. Aleksandrova O.A., Gordushenkov O.E., Matyushkin L.B., Menkovich E.A., Mikhailov I.I., Moshnikov V.A., Romanovskiy D.S., Tarasov S.A. Phosphine-free synthesis of CdSe colloidal quantum dots with inverse order of fluorescence color // 21st Int. Symp. «Nanostructures: Physics and Technology» Proceedings. 2013. P. 298-299. J. Aldana, Y. A. Wang, and X. Peng Photochemical Instability of CdSe Nanocrystals Coated by Hydrophilic Thiols// J. Am. Chem. Soc. 2001. Vol. 123. N. 36. P. 8844-8850. Tarasov S.A., Aleksandrova O.A., Maksimov A.I., Maraeva E.V., Matyushkin L.B., Men’kovich E.A., Moshnikov V.A., Musikhin S.F. Study of the self-organization processes in lead sulfide quantum dots // Semiconductors. 2014. Vol.48, N.13, P. 1729–1731. D. Battocchi, A.M. Simões, D.E. Tallman, G.P. Bierwagen, Corrosion Science, 2006,48(5), 1292-1306. D.E. Tallman, Y. Pae, G.P. Bierwagen, Corrosion 2000, 56, 401. D. E. Tallman, K. L. Levine, C. Siripirom, V. J. Gelling, G. P. Bierwagen, and S. G. Croll, Applied Surface Science, 254 (2008) 5452 – 5459. D. E. Tallman, Y. Pae, G. P. Bierwagen, Corrosion 2000, 56, 401. V. Johnston-Gelling, M. M. Wiest, D. E. Tallman, G. P. Bierwagen, G. G. Wallace, Prog. Organic Coatings,2001, 43, 149. D. E. Tallman, G. M. Spinks, A. J. Dominis, G. G. Wallace, J. Solid State Electrochem. 2002, 6, 73. D. E. Tallman, J. He, V. Johnston-Gelling, G. P. Bierwagen, G. G. Wallace, in Electroactive Polymers for Corrosion Control (Ed. P. Zarras, J. D. Stenger-Smith, Y. Wei) 2003, ACS Symposium Series 843, pp. 228-253 (Washington, DC). G. M. Spinks, A. J. Dominis, G. G. Wallace, D. E. Tallman, J. Solid State Electrochem. 2002, 6, 85. F. Beck, P Huelser, J. Electroanal. Chem. Interfacial Electrochem.1990, 280, 159. P. Huelser, F Beck, J. Appl. Electrochem. 1990, 20, 596. D. E. Tallman, C. Vang, G. G. Wallace, G. P. Bierwagen, J. Electrochem. Soc. 2002, 149, C173. Levine, K.L., Tallman, D.E., Bierwagen, G.P., Australian Journal of Chemistry 58, (2005) (4), 294-301. Levine, K.L., Tallman, D.E., Bierwagen, G.P., ECS Transactions, (2005) 1 (4), pp. 81-91. Handbook of Conducting Polymers. T.A. Scotheim, ed. by, 1st edition. 1983. Marcel Dekker, NY. M. Kendig, M. Hon, L. Warren,Progress in Organic Coatings, 47 (2003) 183–189. K.L. Levine, D.E. Tallman, G.P.Bierwagen, ECS Transactions, (2005) 1 (4), pp. 81-91. P. R. Bidez, S. Li, A. G. MacDiarmid, E.C. Venancio, YENWEI 3, and P. I. Lelkes, J. Biomater. Sci. Polymer Edn, Vol. 17, No. 1–2, pp. 199–212 (2006). K.L. Levine and J. O. Iroh, Journal of Porous Materials, 11, (2004), 87-95. K. L. Levine, N. S. Pshchelko, Polymer Science series A (Polymer Physics), 2011, Vol. 53, N 6, p 510-520. Mackay A. L. Quasicrystals turn to the sixth-dimension//Nature. 1990. V. 344. P. 21. Lord E., Makkey A., Ranganathan S. Novel The new geometry for new materials. М.: Phismathlit, 2010; (in Russian). The compounds of variable composition/ edited by. B. F. Ormanta - L.: Len. department. publisher «Chemistry», 1969; (in Russian). P. Kofstad, The high-temperature oxidation of metals – М.: publisher «World», 1969; (in Russian). Strukov D.B., Snider G.S., Stewart D.R., Williams R. S., The missing memristor found. – Nature letters, 2008, v.453, p.80–83. S. Yu, Y. Wu, H.-S. P. Wong, Investigating the Switching Dynamics and Multilevel Capability in Bipolar Metal Oxide Resistive Switching Memory, Applied Physics Letters, 98, 103514, 2011. N.Eliseev. The Memristor and crossbar: nanotechnology for processors, Electronics: science, technology, business. – 2010. – №8. – p. 84-89; (in Russian). Joonmyoung Lee, Minseok Jo, Dong-jun Seong, Jungho Shin, Hyunsang Hwan, Materials and process aspect of cross-point RRAM, Journal Microelectronic Engineering Volume 88, Issue 7, July 2011, p 1113–1118. Journal of semiconductor technology and science, vol. 8, NO. 1, 2008, 66-79. S. Park, B. Magyari-Kope, and Y. Nishi, Theoretical study of the resistance switching mechanism in rutile TiO2-x for ReRAM: the role of oxygen vacancies and hydrogen impurities, Tech. Digest of VLSI Tech. Symp., 2011. S. Park, B. Magyari-Kope, and Y. Nishi, “The impact of oxygen vacancies on the formation og a conductive chanel in rutile TiO2”, IEEE Electron Device Letters, 32, 197, 2011. L.К. Krasteva, D.C. Dmitrov, K.I. Papasova, N.K. Nikolaev, T.V. Pyeshkova, V.A. Moshnikov, I.Е. Gracheva. Karpova, N.V. Kaneeva, The Sinthesis and charecteristic nanostructed groupses oxide zinc for sensory. Physics and tehnique of semiconductor, 2013, part 47. I.E. Gracheva, V.A. Moshnikov, E.V. Maraeva, S.S. Karpova, O.A. Alexsandrova, N.I. Alekseyev, V.V. Kuznetsov, G. Olchowik, K.N. Semenov, A.V. Startseva, A.V. Sitnikov, J.M. Olchowik. Nanostructured materials obtained under conditions of hierarchical self-assembly and modiﬁed by derivative forms of fullerenes. Journal of Non-Crystalline Solids, Elsevier Science Publishing Company, Inc, 358 (2012) 433–439. The semiconductor sensors in physico-chemical analyzes, Myaskov I.A., Suhharev V.Y., Kupriyanov L.Y., Zavyalov S. А. М.: Science, 1991. (in Russian). Inﬂuence of gamma-irradiation on the photocatalytic activity of Degussa P25 TiO2, R. Kralchevska, M. Milanova, M. Tsvetkov D., Dimitrov, D. Todorovsky / J. Mater. Sci, 2012, Volume 47, Number 12, р.4936–4945. J. A. Dagata, J. Schneir, H. H. Harary, C. J. Evans, M. T. Postek, and J. Bennett, Modification of hydrogen-passivated silicon by a scanning tunneling microscope operating in air, Appl.Phys. Lett, 1990, Volume 56 Issue 20, p/2001. Eigler D. M., Schweizer E. K. Positioning Single Atoms with a Scanning Tunneling Microscope // Nature. 1990. Vol. 344. P. 524 – 526. Becker R. S., Golovchenko J. A., Swartzentruber B. S. Atomic-Scale Surface Modifications using a Tunneling Microscope, Nature. 1987. Vol. 325. P. 419 – 421. Lyo I. W., Avouris P. Field Induced Nanometer- to Atomic-Scale Manipulation of Silucon Surfaces with the STM, Science. 1991. Vol. 253. P. 173 – 176. Baski F.F., Fabrication of Nanoscale Structures using STM and AFM. Review Chapter in Advanced Semiconductor and Organic Nano-Techniques. Ed. By H. Morkoc. Academic Press 2002; (in Russian). Ageev О. А., Fedotov А. А., Smirnov V. А. The methods of formation of structures types of nanoelectronics and nanosystem solution // tutorial. Part 1. Publishing of technology institute of the Southern federal university GСP 17А, Taganrog; (in Russian). Nanotechnologies in electronics: Collection of articles./ edited by. Y. A. Chaplygin. – М.: Techno sphere, 2005; (in Russian). Nano- and microsystem technique: from research to development : collection of articles / edited by. P. P. Malceva. – М.: Techno sphere, 2005; (in Russian). Nevolin V. K. Prod nanotechnologies in electronics. М.: Techno sphere, 2006; (in Russian). Braulio S. Archanjo, Guilherme V. Silveria, Alem-Mar B. Concalves. Fabrication of Gas Nanosensors and Microsensors via Local Anodic Oxidation/ Langmuir 2009, 25, 602 – 605. N. Cabrera, N. F. Mott // Rep. Prog. Phys 1949, vol. 12, p. 163 – 184. D. V. Shcheglov, Nanoscale area modification semiconductors and metals by probe of atomic force microscope //Summery of Ph. D. thesis for the degree of Candidate of Physical and Mathematical Science, Novosibirsk, 2004; (in Russian). D. Stievenard, P. A. Fontaine, and E. Dubois, Nanooxidation using a scanning probe microscope: An analytical model based on field induced oxidation, Appl. Phys. Lett. 70, 3272 (1997). S. Lemeshko, S. Gavrilov, V. Shevyakov, V. Roschin and R. Solomatenko, Investigation of tip-induced ultrathin Ti film oxidation kinetics; Nanotechnology, Volume 12 Number 3 p. 273. (in Russian). Pollak, М.; Geballe, T.H. Phys. Rev. 1961, vol 122, 1742-1753. Mott, N. F. Phil. Mag. 1970, vol 22, 7-29. Shklovskii, B. I.; Efros, A. L. JETP 1981, vol 81, 406-415. Zvyagin, I. P. In Charge Transport in Disordered Solids with Applications in Electronics, Ed. S. Baranovski; John Wiley and Sons: Chichester, 2006; pp 339-378. Lee, M.; Stutzmann, M.L. Phys. Rev. Lett. 2001, vol 87, 056402-1-056402-4. Helgren, E.; Armitage, N.P. ; Gruner, G. Phys. Rev. 2004, vol B69, 014201-1-014201-15. Hering, M.; Scheffler, M.; et al. Phys. Rev. 2007, vol B75, 205203-1-205203-9. Reedijk, J. A.; Adriaanse, L.J. ; et al. Phys. Rev. 1998, vol B57, R15116- R15119. Zvyagin, I. P.; Ormont, M.A. Moscow University Physics Bulletin 2008, vol 63, No. 4, 272-275. Efros, A. L. JETP 1985, vol 62, 1057-1059. Ormont, M. A. Moscow University Physics Bulletin 2011, vol 66, No. 2, 162-168. Ozben, T., Mechanisms and strategies to overcome multiple drug resistance in cancer. FEBS Lett. 2006, 580, 2903-2909. Kamal, A.; Prabhakar, S.; Janaki Ramaiah, M.; Venkat Reddy, P.; Ratna Reddy, C.; Mallareddy, A.; Shankaraiah, N.; Lakshmi Narayan Reddy, T.; Pushpavalli, S. N. C. V. L.; Pal-Bhadra, M., Synthesis and anticancer activity of chalcone-pyrrolobenzodiazepine conjugates linked via 1,2,3-triazole ring side-armed with alkane spacers. European Journal of Medicinal Chemistry 2011, 46 (9), 3820-3831. Duan, Y.-C.; Zheng, Y.-C.; Li, X.-C.; Wang, M.-M.; Ye, X.-W.; Guan, Y.-Y. ; Liu, G.-Z. ; Zheng, J.-X. ; Liu, H.-M., Design, synthesis and antiproliferative activity studies of novel 1,2,3-triazole–dithiocarbamate–urea hybrids. European Journal of Medicinal Chemistry 2013, 64 (0), 99-110. Mahmoud, A. E.; Ali, M. M. Fermented pomegranate (Punica granatum) peel extract as a novel anticancer agent targeting angiogenesis and metastasis. International Journal of Toxicological and Pharmacological Research 2014, 6(4), 60-66. Omar M. A.; Shaker, Y. M.; Galal, S. A.; Ali, M. M.; Kerwin, S. M.; Li, J.; Tokuda, H.; Ramadan, R. A.; El Diwani, H. I. Synthesis and docking studies of novel antitumor benzimidazoles. Bioorganic and Medicinal Chemistry 2012, 20(24), 6989-7001. Agalave, S. G.; Maujan, S. R.; Pore, V. S., Click Chemistry: 1,2,3-Triazoles as Pharmacophores. Chemistry – An Asian Journal 2011, 6 (10), 2696-2718. Aher, N. G.; Pore, V. S.; Mishra, N. N.; Kumar, A.; Shukla, P. K.; Sharma, A.; Bhat, M. K., Synthesis and antifungal activity of 1,2,3-triazole containing fluconazole analogues. Bioorganic and Medicinal Chemistry Letters 2009, 19 (3), 759-763. Demaray, J. A.; Thuener, J. E.; Dawson, M. N.; Sucheck, S. J., Synthesis of triazole-oxazolidinones via a one-pot reaction and evaluation of their antimicrobial activity. Bioorganic and Medicinal Chemistry Letters 2008, 18 (17), 4868-4871. Buckle, D. R.; Outred, D. J.; Rockell, C. J. M.; Smith, H.; Spicer, B. A., Studies on v-triazoles. 7. Antiallergic 9-oxo-1H,9H-benzopyrano[2,3-d]-v-triazoles. Journal of Medicinal Chemistry 1983, 26 (2), 251-254. Giffin, M. J.; Heaslet, H.; Brik, A.; Lin, Y.-C.; Cauvi, G.; Wong, C.-H.; McRee, D. E.; Elder, J. H.; Stout, C. D.; Torbett, B. E., A Copper(I)-Catalyzed 1,2,3-Triazole Azide−Alkyne Click Compound Is a Potent Inhibitor of a Multidrug-Resistant HIV-1 Protease Variant. Journal of Medicinal Chemistry 2008, 51 (20), 6263-6270. Patpi, S. R.; Pulipati, L.; Yogeeswari, P.; Sriram, D.; Jain, N.; Sridhar, B.; Murthy, R.; T, A. D.; Kalivendi, S. V.; Kantevari, S., Design, Synthesis, and Structure–Activity Correlations of Novel Dibenzo[b,d]furan, Dibenzo[b,d]thiophene, and N-Methylcarbazole Clubbed 1,2,3-Triazoles as Potent Inhibitors of Mycobacterium tuberculosis. Journal of Medicinal Chemistry 2012, 55 (8), 3911-3922. De Simone, R.; Chini, M. G.; Bruno, I.; Riccio, R.; Mueller, D.; Werz, O.; Bifulco, G., Structure-Based Discovery of Inhibitors of Microsomal Prostaglandin E2 Synthase−1, 5-Lipoxygenase and 5-Lipoxygenase-Activating Protein: Promising Hits for the Development of New Anti-inflammatory Agents. Journal of Medicinal Chemistry 2011, 54 (6), 1565-1575. Pagliai, F.; Pirali, T.; Del Grosso, E.; Di Brisco, R.; Tron, G. C.; Sorba, G.; Genazzani, A. A., Rapid Synthesis of Triazole-Modified Resveratrol Analogues via Click Chemistry. Journal of Medicinal Chemistry 2005, 49 (2), 467-470. Ferreira, J. P. A.; Silva, V. L. M.; Elguero, J.; Silva, A. M. S., Synthesis of new pyrazole-1,2,3-triazole dyads. Tetrahedron Letters 2013, 54 (39), 5391-5394. Aufort, M.; Herscovici, J.; Bouhours, P.; Moreau, N.; Girard, C., Synthesis and antibiotic activity of a small molecules library of 1,2,3-triazole derivatives. Bioorganic and Medicinal Chemistry Letters 2008, 18 (3), 1195-1198. Buechel, K. H.; Gold, H.; Frohberger, P. E.; Kaspers, H. 1975. Boddy, I. K.; Briggs, G. G.; Harrison, R. P.; Jones, T. H.; O’Mahony, M. J.; Marlow, I. D.; Roberts, B. G.; Willis, R. J.; Bardsley, R.; Reid, J., Pestic. Sci. 1996, 48, 189-196. Krueger, H. R.; Schroeer, U.; Baumert, D.; Joppien, H. 96. 1981. Fan, W.-Q. ; Katritzky, A. R., 4.01 - 1,2,3-Triazoles. In Comprehensive Heterocyclic Chemistry II, Katritzky, A. R.; Rees, C. W.; Scriven, E. F. V., Eds. Pergamon: Oxford, 1996; pp 1-126. Kamal, A.; Shankaraiah, N.; Devaiah, V.; Laxma Reddy, K.; Juvekar, A.; Sen, S.; Kurian, N.; Zingde, S., Synthesis of 1,2,3-triazole-linked pyrrolobenzodiazepine conjugates employing ‘click’ chemistry: DNA-binding affinity and anticancer activity. Bioorganic and Medicinal Chemistry Letters 2008, 18 (4), 1468-1473. Iqbal, A.; Siddiqui, H. L.; Ashraf, C. M.; Ahmad, M.; Weaver, G. W., Molecules 2007, 12, 245-254. Vashi, K.; Naik, H. B., Eur. J. Chem. 2004, 1, 272-276. Hossain, M. E.; Alam, M. N.; Begum, J.; Akbar Ali, M.; Nazimuddin, M.; Smith, F. E.; Hynes, R. C., The preparation, characterization, crystal structure and biological activities of some copper(II) complexes of the 2-benzoylpyridine Schiff bases of S-methyl- and S-benzyldithiocarbazate. Inorganica Chimica Acta 1996, 249 (2), 207-213. Shukla, S.; Srivastava, R. S.; Shrivastava, S. K.; Sodhi, A.; Kumar, P., Synthesis, characterization, in vitro anticancer activity, and docking of Schiff bases of 4-amino-1,2-naphthoquinone. Medicinal Chemistry ResearchMed. Chem. Res. 2013, 22 (4), 1604 - 1617. Sadana, A. K.; Mirza, Y.; Aneja, K. R.; Prakash, O., Hypervalent iodine mediated synthesis of 1-aryl/hetryl-1,2,4-triazolo[4,3-a] pyridines and 1-aryl/hetryl 5-methyl-1,2,4-triazolo[4,3-a]quinolines as antibacterial agents. European Journal of Medicinal Chemistry 2003, 38 (5), 533-536. Rezaei, Z.; Khabnadideh, S.; Pakshir, K.; Hossaini, Z.; Amiri, F.; Assadpour, E., Design, synthesis, and antifungal activity of triazole and benzotriazole derivatives. European Journal of Medicinal Chemistry 2009, 44 (7), 3064-3067. Guo-Qiang, H.; Li-Li, H.; Song-Qiang, X.; Wen-Long, H., Chin. J. Chem. 2008, 26, 1145-1149. Jin, J.; Zhang, L.; Zhang, A.; Lei, X. X.; Zhu, J. H., Molecules 2007, 12, 1596-1605. Bagihalli, G. B.; Avaji, P. G.; Patil, S. A.; Badami, P. S., Synthesis, spectral characterization, in vitro antibacterial, antifungal and cytotoxic activities of Co(II), Ni(II) and Cu(II) complexes with 1,2,4-triazole Schiff bases. European Journal of Medicinal Chemistry 2008, 43 (12), 2639-2649. Chohan, Z. H.; Hanif, M., Synthesis and characterization of biologically active new Schiff bases containing 3-functionalized 1,2,4-triazoles and their zinc(II) complexes: crystal structure of 4-bromo-2-[(E)-(1H-1,2,4-triazol-3-ylimino)- methyl]phenol. Applied Organometallic Chemistry 2011, 25 (10), 753-760; (b) Hanif, M.; Chohan, Z. H., Design, spectral characterization and biological studies of transition metal(II) complexes with triazole Schiff bases. Spectrochimica Acta Part A: Molecular and Biomolecular Spectroscopy 2013, 104 (0), 468-476. Vogel, A. I., A Text Book of Quantitative Inorganic Analysis, 4th edn. Longmans: London, 1978; (b) Holzbecher, Z.; Divis, L.; Kral, M.; Sucha, L.; Vracil, F., Handbook of Organic Reagents in Inorganic Analysis. Wiley: Chichester, 1976. Salama, T. M.; Ahmed, A. H.; El-Bahy, Z. M., Y-type zeolite-encapsulated copper(II) salicylidene-p-aminobenzoic Schiff base complex: Synthesis, characterization and carbon monoxide adsorption. Microporous and Mesoporous Materials 2006, 89 (1-3), 251-259. Skehan, P.; Storeng, R.; Scudiero, D.; Monks, A.; Mahon, J.; Vistica, D.; Warren, J. T.; Bokesch, H.; Kenney, S.; Boyd, M. R., New Colorimetric Cytotoxicity Assay for Anticancer-Drug Screening. J. Natil Cancer Inst. 1990, 82 (13), 1107-1112. Li, L.; Qu, R.; de Kochko, A.; Fauquet, C.; Beachy, R. N., An improved rice transformation method using the biolistic method. Plant Cell Rep. 1993, 12, 250-255. Geary, W. J., The use of conductivity measurements in organic solvents for the characterisation of coordination compounds. Coordination Chemistry Reviews 1971, 7 (1), 81-122. Ilhan, S.; Temel, H.; Yilmaz, I.; Şekerci, M., Synthesis and characterization of new macrocyclic Schiff base derived from 2,6-diaminopyridine and 1,7-bis(2-formylphenyl)-1,4,7-trioxaheptane and its Cu(II), Ni(II), Pb(II), Co(III) and La(III) complexes. Polyhedron 2007, 26 (12), 2795-2802. Faheim, A. A.; Abdou, S. N.; Abd El-Wahab, Z. H., Synthesis and characterization of binary and ternary complexes of Co(II), Ni(II), Cu(II) and Zn(II) ions based on 4-aminotoluene-3-sulfonic acid. Spectrochimica Acta Part A: Molecular and Biomolecular Spectroscopy 2013, 105 (0), 109-124. Jayabalakrishnan, C.; Natarajan, K., Synthesis, characterization, and biological activities ofruthenium (II) carbonyl complexes containing bifunctional tridentate Schiff bases. Synthesis and Reactivity in Inorganic and Metal-Organic Chemistry 2001, 31 (6), 983-995. Majumder, A.; Rosair, G. M.; Mallick, A.; Chattopadhyay, N.; Mitra, S., Synthesis, structures and fluorescence of nickel, zinc and cadmium complexes with the N,N,O-tridentate Schiff base N-2-pyridylmethylidene-2-hydroxy-phenylamine. Polyhedron 2006, 25 (8), 1753-1762. Kumar, R.; Chandra, S., Spectroscopic techniques and cyclic voltammetry with synthesis: Manganese(II) coordination stability and its ligand field parameters effect on macrocyclic ligands. Spectrochimica Acta Part A: Molecular and Biomolecular Spectroscopy 2007, 67 (1), 188-195. Singh, A. K.; Pandey, O. P.; Sengupta, S. K., Synthesis, spectral characterization and biological activity of zinc(II) complexes with 3-substituted phenyl-4-amino-5-hydrazino-1, 2, 4-triazole Schiff bases. Spectrochimica Acta Part A: Molecular and Biomolecular Spectroscopy 2012, 85 (1), 1-6. Singh, M.; Aggarwal, V.; Singh, U. P.; Singh, N. K., Synthesis, characterization and spectroscopic studies of a new ligand [N-(2-methoxybenzoyl)hydrazinecarbodithioate] ethyl ester and its Mn(II) and Cd(II) complexes: X-ray structural study of Mn(II) complex. Polyhedron 2009, 28, 107-112. Kovala-Demertzi, D.; Alexandratos, A.; Papageorgiou, A.; Yadav, P. N.; Dalezis, P.; Demertzis, M. A., Synthesis, characterization, crystal structures, in vitro and in vivo antitumor activity of palladium(II) and zinc(II) complexes with 2-formyl and 2-acetyl pyridine N(4)-1-(2-pyridyl)-piperazinyl thiosemicarbazone. Polyhedron 2008, 27 (13), 2731-2738. Mohamed, G. G.; Omar, M. M.; Hindy, A. M. M., Synthesis, characterization and biological activity of some transition metals with Schiff base derived from 2-thiophene carboxaldehyde and aminobenzoic acid. Spectrochimica Acta Part A: Molecular and Biomolecular Spectroscopy 2005, 62 (4–5), 1140-1150. El-Wahab, Z. H. A.; Mashaly, M. M.; Salman, A. A.; El-Shetary, B. A.; Faheim, A. A., Co(II), Ce(III) and UO2(VI) bis-salicylatothiosemicarbazide complexes: Binary and ternary complexes, thermal studies and antimicrobial activity. Spectrochimica Acta Part A: Molecular and Biomolecular Spectroscopy 2004, 60 (12), 2861-2873. Youssef, N. S.; El-Zahany, E.; El-Seidy, A. M. A.; Caselli, A.; Cenini, S., Synthesis and characterization of some transition metal complexes with a novel Schiff base ligand and their use as catalysts for olefin cyclopropanation. Journal of Molecular Catalysis A: Chemical 2009, 308 (1–2), 159-168. Abu-Melha, K. S.; El-Metwally, N. M., Spectral and thermal studies for some transition metal complexes of bis(benzylthiocarbohydrazone) focusing on EPR study for Cu(II) and VO2+. Spectrochimica Acta Part A: Molecular and Biomolecular Spectroscopy 2008, 70 (2), 277-283. Youssef, N. S.; El-Zahany, E.; El-Seidy, A. M. A.; Caselli, A.; Fantauzzi, S.; Cenini, S., Synthesis and characterisation of new Schiff base metal complexes and their use as catalysts for olefin cyclopropanation. Inorganica Chimica Acta 2009, 362 (6), 2006-2014. Klayman, D. L.; Bartosevich, J. F.; Griffin, T. S.; Mason, C. J.; Scovill, J. P., 2-Acetylpyridine thiosemicarbazones. 1. A new class of potential antimalarial agents. Journal of Medicinal Chemistry 1979, 22 (7), 855-862. Tümer, M.; Ekinci, D.; Tumer, F.; Bulut, A., Synthesis, characterization and properties of some divalent metal(II) complexes: Their electrochemical, catalytic, thermal and antimicrobial activity studies. Spectrochim. Acta Part A: Mol. Biomol. Spectrosc. 2007, 67, 916-929. Moreau, E.; Fortin, S.; Lacroix, J.; Patenaude, A.; Rousseau, J. L. C.; Gaudreault, R. C., N-Phenyl-N′-(2-chloroethyl)ureas (CEUs) as potential antineoplastic agents. Part 3: Role of carbonyl groups in the covalent binding to the colchicine-binding site. Bioorganic and Medicinal Chemistry 2008, 16 (3), 1206-1217. Fuhrer et al., Nature 413, 822 (2001). H. Castro Neto, F. Guinea, N. M. R. Peres, K. S. Novoselov, and A. K. Geim, Rev.Mod. Phys. 81, 109 (2009). M. Suarez, T. Grosjean, D. Charraut, and D. Courjon, Optics Communications 270, 447 (2007). G. Cohen, O. Hod, and E. Rabani, Phys. Rev. B 76, 235120 (2007). D.-Y. Liu, J.-B. Xia, and Y.-C. Chang, J. Appl. Phys. 106, 093705 (2009). J. Xia, Phys. Rev. B 45, 3593 (1992). Texier and G. Montambaux, J. Phys. A: Math. Gen. 34, 10307 (2001). E. Akkermans, A. Comtet, J. Desbois, G. Montambaux, and C. Texier, Ann. Phys. 284, 10 (2000). A. F. Klinskikh, A.V. Dolgikh, P.A. Meleshenko, and S.A. Sviridov, Arxiv preprint arXiv:1012.3634, 1 (2011). B. A. Dubrovin, A.T. Fomenko, and S.P. Novikov, Modern Geometry - Methods and Applications: Part I: The Geometry of Surfaces, Transformation Groups, and Fields, Springer-Verlag, New-York, 1992. A. F. Klinskikh, D.A. Chechin, and A.V. Dolgikh, J. Phys. B: At. Mol. Opt. 41, 161001 (2008). L. D. Landau and E.M. Lifshitz, Quantum mechanics (Nonrelativistic theory), Pergamon, Oxford, 1977. S. P. Novikov, S.V. Manakov, L.P. Pitaevskii, and V.E. Zakharov, Theory of solitons. The Inverse Scattering Transform Method, Springer, 1984. Borisov, O. V.; Zhulina, E. B.; Birshtein, T. M. ACS Macro Lett. 2012,1, 1166−1169. Hsu, H.-P.; Paul, W.; Binder, K. Macromol. 2010, 43, 3094. Connolly, R.; Bellesia, G.; Timoshenko, E. G.; Kuznetsov, Yu A.; Elli, S.; Ganazzoli, F. Macromolec. 2005, 38, 5288-5299. S. M. Grayson, J. M. J. Frechet, Chem. Rev. 101. 3819 (2001). A. W. Bosman, H. M. Janssen, E. W. Meijer, Chem. Rev. 99. 1665 (1999). L. Crespo, G. Sanclimens, M. Pons, E. Giralt, M. Royo, F. Albericio, Chem. Rev.105,1663 (2005). C. Rao, J. P. Tam, J. Am. Chem. Soc. 116. 6975 (1994). T. Darbre, J. L. Reymond, Acc. Chem. Res. 39. 925 (2006). B. Klajnert, J. Janiszewska, Z..Urbanczyk-Lipkowska, M. Bryszewska, D. Shcharbin, Int, J. Pharm. 309. 208 (2006). D. Tyssen et al, PLoS ONE 5. e12309 (2010). I. M. Neelov et al, Curr.Med.Chem. 20. 134 (2013). B. J. Boyd, L.M. Kaminskas, P. Karellas, G. Krippner, R. Lessene, C. Porter. J. Mol. Pharm. 3, 614 (2006). B. P. Roberts, M. J. Scanlon, G. Y. Krippner, D. K. Chalmers, Macromol. 42. 2775 (2009). L. Filipe, M. Machuqueiro, A. Baptista, J. Am. Chem. Soc. 133. 5042 (2011). I. M. Neelov, D. A. Markelov, A. G. Falkovich, M. Yu. Ilyash, B. M. Okrugin, A. A. Darinskii, Polymer Sci. C. 55. 154 (2013). G. P. Vlasov et al, Rus. J. Bioorg. Chem. 30. 12 (2004). I.O. Gotze, C. N. Likos, Macromolecules 36. 8189 (2003). Y. Liu, V. S. Bryantsev, M. S. Diallo, W. A. Goddard, J. Am. Chem. Soc. 131.2798 (2009). D. Boris, M. Rubinstein Macromol. 1996, 29, 7251-7260. J. S. Klos, J. U. Sommer, Macromol. 42. 4878 (2009);43. 4418 (2010). P. G. D. Gennes, H. Hervet, J. Phys. Lett. 44. 351 (1983). Janse van Rensburg, E. J. The Statistical Mechanics of Interacting Walks, Polygons, Animals and Vesicles; Oxford Lecture Series in Mathematics and Its Applications 18; Oxford University Press: Oxford, 2000. Janse van Rensburg, E. J. J. Phys. A: Math. Gen. 2003, 36, R11. Polotsky, A.; Degenhard, A.; Schmid, F. J. Chem. Phys. 2009, 131, 054903. Polotsky, A. A. J. Phys A: Math. Theor. 2012, 45, 425004. Polotsky, A. A. J. Phys. A: Math. Theor. 2014, 47, 245002. Polotsky, A. A.; Gillich, T.; Borisov, O. V.; Leermakers, F. A. M.; Textor, M.; Birshtein, T. M. Macromolecules 2010, 43, 9555-9566. Polotsky, A. A.; Leermakers, F. A. M.; Zhulina, E. B.; Birshtein, T. M. Macromolecules 2012, 45, 7260-7273. Merlitz, H.; Wu, C.-X. ; Sommer, J.-U. Macromolecules 2011, 44, 7043-7049. Polotsky, A. A.; Misorin, A. K.; Zhulina, E. B.; Birshtein, T. M. Macromol. Symp. 2015, 348, 33-43. Merlitz, H.; Cui, W.; Wu, C.-X. ; Sommer, J.-U. Macromolecules 2013, 46, 1248-1252.